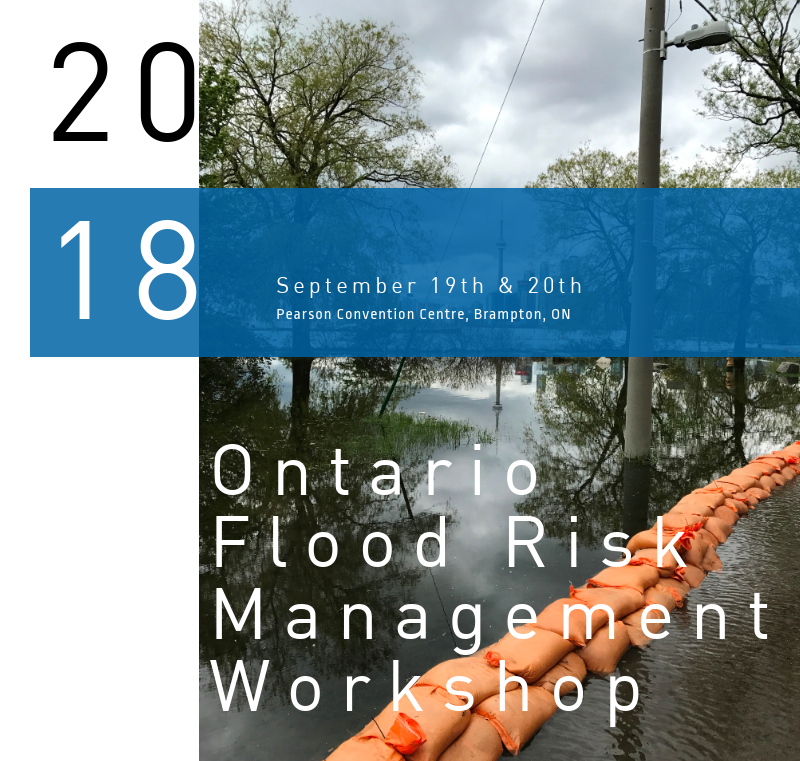 The 2018 Ontario Flood Risk Management Workshop is targeted to professionals and academia working in flood risk management. It provides an opportunity for you to collaborate, educate and share experiences. This year’s Workshop offers two concurrent streams featuring a diverse lineup of speakers and expertise. The first stream will focus on Flood Risk Prevention and Mitigation showcasing a wide variety of municipal and agency projects and works in Ontario. The second stream, titled Preparedness, Response and Recovery, will feature specific work and experiences from emergency management professionals. The Workshop provides content derived from the insurance sector, provincial and municipal agencies and also explores public sector perspectives. Our keynote speaker will be Dr. Vankita Brown from the National Weather Service in Maryland. The Provincial Flood Forecasting and Warning Committee combines efforts to create a meaningful workshop. The 2018 Workshop will be hosted by The Toronto and Region Conservation Authority and Conservation Ontario. This workshop provides two full days of presentations and includes full meals. To provide a program link between agencies responsible for flood forecasting and warning, emergency management, flow measurement and data collection, and partners, to address policy and implementation needs and issues, and to facilitate training as needed. Mark A. Helsten, P.Eng., M.E.Sc. For more information contact Rhianydd Phillips at rphillips@trca.on.ca.